Pub is a shorten word for Public House. 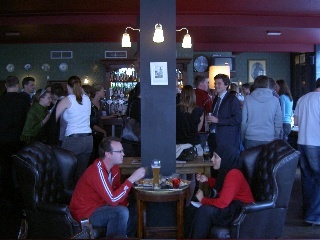 Pubs are the places for socializing for British people. Wherever you go on Friday night, all the pubs are very busy. You normally can’t find a seat. 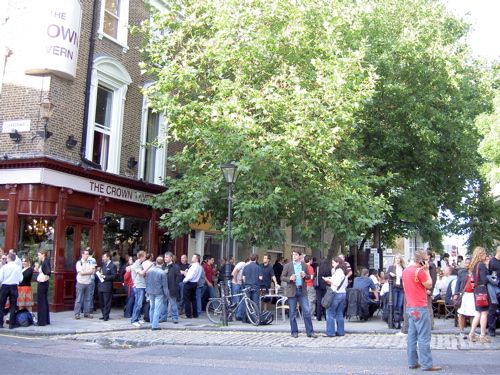 People stand around and drink on the streets outside the pubs. 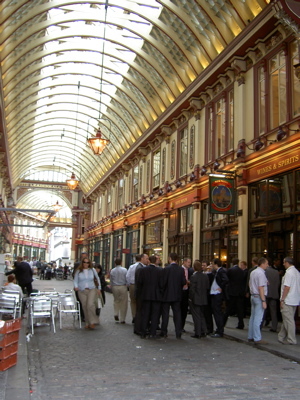 We walked through the City, London’s financial district. Of course, everybody was drinking outside. The thing we noticed was everybody was wearing suits even though it was a Friday. Casual Friday which started in North America didn’t stay in the City. 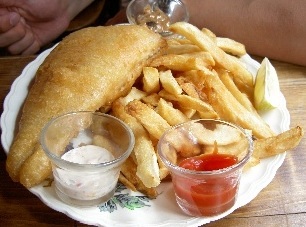 The snacks you can buy at pubs are normally crisps or peanuts. 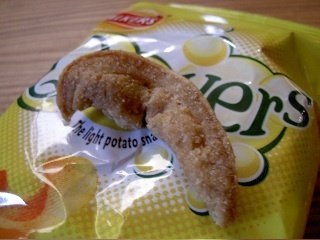 Often you can buy my husband’s favourite, pork scratchings which are deep fried pig skin. He had eaten them all before I was taking this picture. Some pubs provide meals. 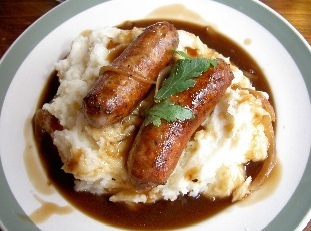 These photos are of Bangers & Mash (above) and Fish & Chips (right), typical British pub food. British people love football. 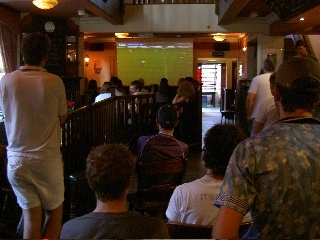 People cheer over pints at pubs where you can watch football games. 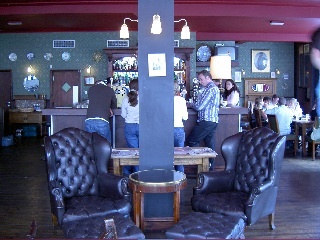 In British pubs, you go to the bar to order your drink and pay the barman then and there in cash. British people love to queue but they don’t queue in pubs. When the bar gets busy it gets very difficult to order your drinks. I wish they’d queue in pubs.